Flowers always bring elegance and happiness to the atmosphere of the interiors. Whether they are artificial or real, they add beauty and positive vibes to the establishments. Jute flowers are in vogue due to their versatile decorative feature along with other highly beneficial characteristics. 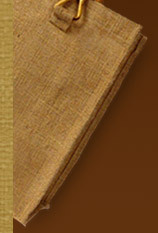 Flower designed from jute is available in a myriad of designs, styles, patterns and colors. They can be easily recognizable among the flowers designed from synthetic materials like plastic, paper, fabric, etc. because of the quality of the fiber. 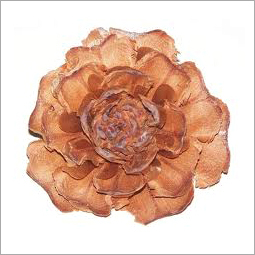 The jute flower exudes a unique look with its green option. As jute is environment-friendly fiber, it adds a natural look to the flowers, which makes them hard to distinguish from real flowers. Jute flowers are an excellent gift item to the family members, friends and loved ones on any occasion. In addition to this, they can be given by the firms to the employees during parties and festive seasons to make them happy. Flowers made from jute is either available in natural look or with varied adornments. They can be embellished with various beads, stones, mirrors, and so on giving them a different look. In addition to this, jute flowers can be availed in varied colors to match the dÃ©cor of the establishments. Perfect for decoration purposes, they enhance the decor of office, home, restaurants, hotels, and several places. In addition to this, they can be decorated at cap, dress, brooch, shoes, etc. for making them more appealing. They can be mixed with other fabric like cotton, linen, etc. for making the flowers of jute more attractive. Jute Flowers are free from any kind of harm to human as well as environment. They are highly durable and strong in nature making them able to withstand extreme weather conditions. Decorative jute flowers can be easily availed at the most economical prices.